Are you current with the very latest Tennessee case law developments regarding termination of parental rights? In Tennessee, the grounds for terminating parental rights are spelled out by statute. But these must be proven by “clear and convincing” evidence, and what is necessary to prove a ground has been shaped by the appellate courts. In January, the Tennessee Supreme Court, in In re Carrington H., held that although parents are constitutionally entitled to fundamentally fair procedures in parental termination proceedings, this doesn't allow them to collaterally attack orders terminating rights based on ineffective assistance of counsel. The court also ruled that appellate courts must review trial courts’ findings regarding all grounds for termination and whether termination is in the child’s best interest, even if the parent fails to challenge these findings on appeal. So what's the best way to assist a client in terminating parental rights? Alternatively, what's critical in helping a client overcome such a challenge to his/her rights? Recent case law, including In re Carrington H.
Kevin Shepherd has more than 20 years of experience and is currently in solo practice with an office located in Maryville. He also has a branch office in Franklin. 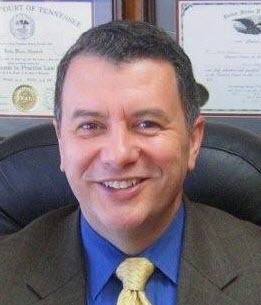 He practices in the area of family law, divorce, personal injury, criminal defense, appellate practice and general practice. He is a Tennessee Supreme Court Rule 31 family law mediator. Mr. Shepherd earned his J.D. degree from the University of Tennessee at Knoxville. He is a member of the Tennessee Association for Justice and is a well-received speaker at legal seminars.